He extended a bony hand, which Isabelle reluctantly shook. Just because she was angry was no reason to abandon good manners. He walked into the stables and Isabelle stomped after him. How dare this wretched man ignore her concerns? It took a moment for her eyes to adjust to the gloom inside, and so to make sense of what she saw. Horses were lined up in thin spaces separated by metal bars. Pipes descended from the ceiling into each of their mouths, and some sort of grey slop was being pumped from a machine by the wall. There were blisters on their lips where the pipes entered. When one of the horses tried to step back, a lever swung down from the ceiling and lashed it across the rear. Several of the horses had red welts on their flanks. “What is this?” She choked on the words, her own concerns all but forgotten at the appalling sight. Isabelle took a deep breath, not the most pleasant experience in a cramped room full of frightened horses, and turned her glare back on the man. It was no good. She couldn’t even string her thoughts together in here. Perhaps that was Watkins’ intent, the odious little man. She had to take this outside. No. The thought stopped her as she turned toward the door. If the problem was this place, then the solution was not to run from it. Not with so much suffering on display. “I want you stop this barbarity at once.” She pointed to the horses. Watkins’ laughter sounded almost as unpleasant as the horses’ pain. The pain of his fingers digging into Isabelle’s arm was nothing next to the distress she felt at leaving the horses to suffer, or her indignation at being treated this way. But now her passions didn’t block her thoughts, they fuelled them. Watkins chewed at his lip again, eyes narrowing as he stared at her. “You don’t know the Duke of Kent,” he muttered. Watkins looked from her to the stables and then back again. “And no more machines for the horses,” Isabelle said. 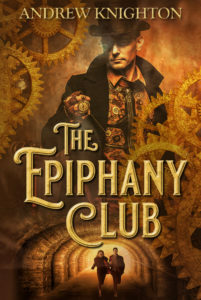 Isabelle McNair is one of the stars of my steampunk adventure Guns and Guano, available as an ebook on most platforms, including Amazon. It’s free most places, and the sequel Suits and Sewers will be out very soon. This particular story was inspired by reading a post on hollyiblogs, which cited an estimate that 3,000 horses a week died in London in the 1880s. It made me wonder about the lives and deaths of those horses, many of them worked to death as beasts of burden in an increasingly crowded and alienating urban environment. We often talk about the human cost of progress, but there are other sad costs too. 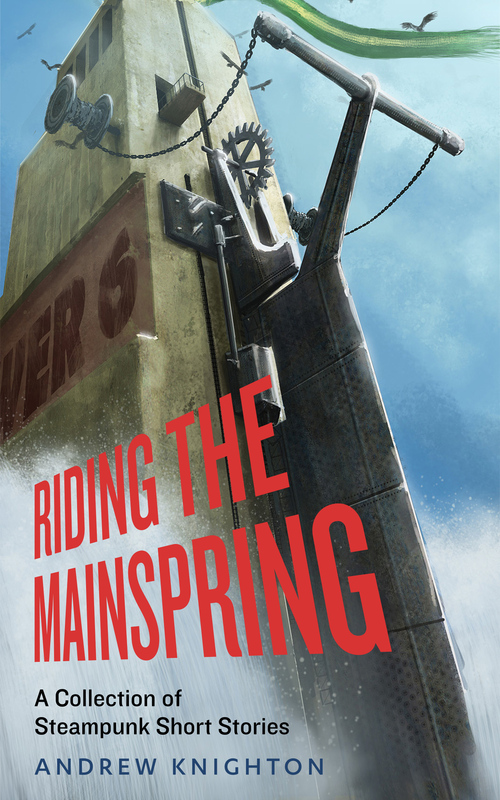 And if you thought this was worth reading, there’s more where it came from – my steampunk anthology Riding the Mainspring is free to anyone signing up to my mailing list. Why not enjoy some more tales of strange gadgets and Victorian life, all for a couple of clicks of the mouse.